A few weeks ago, the trailer for Outlaw King, a new film distributed by Netflix, dropped online. Somehow I had never even heard of this project until the trailer hit, and while my first impression was that this would be another one of those low-budget, direct-to-Netflix releases with a cool poster and not a lot of substance, actually watching the trailer completely upended that assumption. Outlaw King tells the story of Robert the Bruce and his bloody quest to unite Scotland into a single kingdom under his rule. As I summarized in my Historical Movie Monday post about Braveheart, by the time Outlaw King begins in 1304, Scotland had been in political chaos for thirty years. The death of a king with no direct heir, the death of the best potential heir to the throne on her journey back from Norway, and the interference of England’s King Edward I as a (at first) neutral arbiter spawned the anarchy and wars depicted so memorably (and inaccurately) in Braveheart. Robert spends this film reducing castles and strongholds one by one to secure his rightful rule and, in the climactic battle, fights the English at Loudon Hill, a small but important Scottish victory that came just before Edward’s death. The cast looks great. Chris Pine is an unexpected choice for such a role, but based on early reviews he acquits himself admirably. Stephen Dillane, whose cunning gravitas has been exploited to good effect by HBO several times (as Thomas Jefferson in John Adams, which I’ve seen, and as Stannis Baratheon in Game of Thrones, which I haven’t) looks like a wonderfully ruthless Edward. 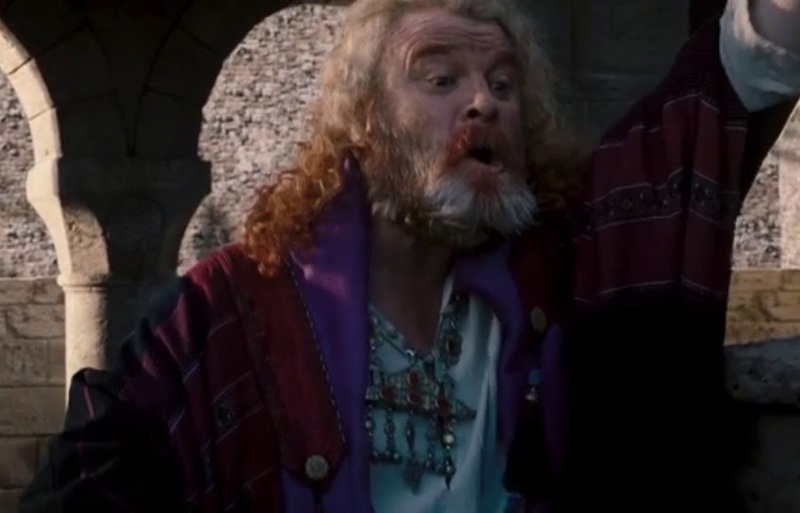 The cast is also full of great faces like James Cosmo, who played Hamish’s father in Braveheart, Tony Curran, and Sam Spruell. Netflix will release Outlaw King both streaming and in theaters. Some see this is as a bid for prestige and a place at the Oscars table. I don’t know about that, but I’m glad we’ll be able to see this in theatres, as this kind of film—with its sweeping landscapes, sumptuous costumes, widescreen cinematography, and large-scale battle scenes—needs to be seen on the big screen. Imagine streaming Lawrence of Arabia on your phone. Blech. But these aren’t the primary reasons I’m excited. As my post on Braveheart probably makes clear, medievalists and historians have a love-hate relationship with that film. We love it for all the things I just listed in describing Outlaw King, but we hate the liberties it takes with the past—from small stuff like the Scots wearing kilts centuries too soon or the use of woad centuries too late, to big things like the early death of Edward I or Wallace’s completely fictional sack of York. As you can imagine, the Scots—real, present day Scots, not tenth-generation Appalachians who think of themselves as Scottish—feel a similar ambivalence. Great movie, terrible history, and, unfortunately, that movie is how a lot of people perceive the history. So it looks to me like Outlaw King is positioning itself to be the anti-Braveheart, a movie more rigorously dedicated to the past as the past, taking liberties and streamlining when necessary for the purposes of the medium. The fact that it restricts its story to a span of about three years also helps. Here are two early responses to the trailer from people who seem to know their stuff. This video essayist points out that the clothing and weapons are pretty much spot-on for the era as opposed to Braveheart’s medieval Mad Max aesthetic. He includes some addenda in his comments. This video essayist, despite advertising his video as “Crimes Against Medieval Realism,” doesn’t say much more critical than that a castle’s crenelations are too small for the period and that the movie bows to the temptation to include a fiery arrow scene. Both videos point out some minor problems, but both end on positive, hopeful notes about the authenticity of the film. And to me, the fact that the biggest problems we can spot in the trailer are unthatched roofs, unwhitewashed castle walls, and minor anachronisms of gear or dress are positive signs compared to a lot of the problems in other medieval films. The strength of the film in its retelling of history is that it allows for the tangle of relationships between families, clans, and the aristocracy that made the Anglo-Scottish wars so complex. The characters (as the real historical people) are caught in a vast web of conflicting loyalties, which makes anything as simple as “unite the clans” a Herculean task. No one’s duty is clear cut . . . There is space made in the dialogue to allow for these relationships to be uncovered, which gives the audience a clearer picture of how difficult Robert’s task to bring Scotland together under one crown really is. That—“allow[ing] for the tangle of relationships between families, clans, and the aristocracy”—is a tall order. A lot of movies fail at it, because, like or not, the relatively slow pace at which information is conveyed visually in a film does not easily allow for great complexity. Even good historical films, like Valkyrie, one of my favorites, have a streamline a lot. The art lies in balancing streamlining with the suggestion of complexity. And that’s an essentially historical act. 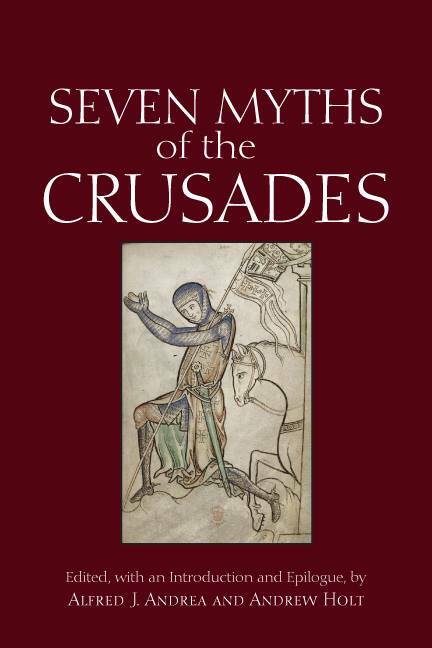 As Herbert Butterfield put it, “The historian is never more himself than when he is searching his mind for a general statement that shall in itself give the hint of its own underlying complexity.” That Medievalists.net highlights this as a strength of Outlaw King makes me hopeful. If Outlaw King can give us a good movie, like Braveheart, but approach the film’s history with a care for accuracy, authenticity, and real-life complexity, it will give medievalist film buffs what we’ve never had before—a movie of our own! On my drive back from Georgia this weekend I listened to a two-part podcast series from the CBC on the Icelandic sagas, "A Map of the Heart." 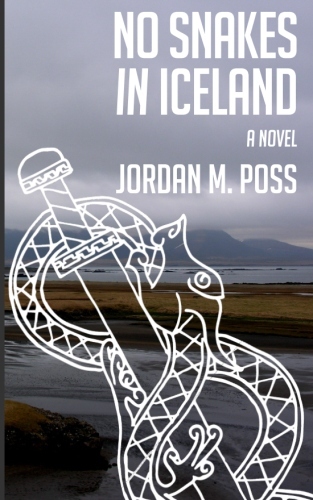 Part I provided some background on the settlement of Iceland during the Viking Age and the culture of the people who lived there, as well as where the sagas came from and how well they reflect that culture. 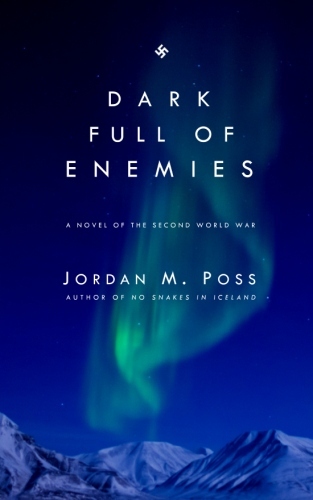 The second part recapped some points from the first and spent a lot of time on an in-depth look at Egils saga, the story of Egill Skallagrimsson, one of the greastest works in the saga literature and one of the inspirations for my novel No Snakes in Iceland. 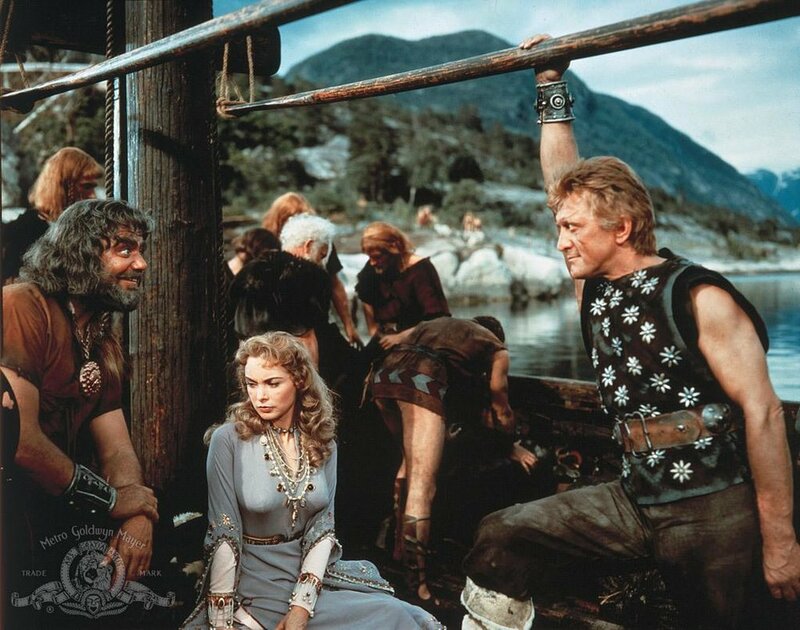 I hope there will be more, because there are so many other great sagas—among my other favorites are Gisli Sursson's Saga, The Saga of Grettir the Strong, and Njal's Saga—and these two episodes were excellent. The CBC being Canadian, I hope they're working their way toward covering the Vinland sagas; those are fascinating bits of history. You can listen to Part I here and Part II here. 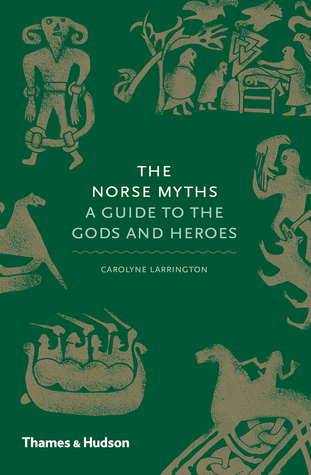 They're worth your while, especially if you've not yet had an introduction to the sweeping, dramatic, but deeply local and personal world of the sagas. Medieval March continues with a film that poses a unique challenge to me as a movie lover and an historian: it's a rousing, beautifully shot and acted drama full of exciting battle scenes, overwhelming pathos, and sincere emotion rooted in love of family and homeland. It's also historical garbage. The film is Braveheart. In 1286, Alexander III, King of Scotland, died in a freak accident when, having lost his way in the dark, his horse stumbled over an embankment and he broke his neck. Alexander died having outlived all three of his children; his nearest heir was his granddaughter Margaret, the daughter of the King of Norway. Margaret was three years old at the time of Alexander's death, and the lords and bishops of Scotland assembled to select Guardians to protect the kingdom until she was of age. Meanwhile, Edward I, king of England, negotiated with the Guardians to marry his young son Edward to Margaret and unite their kingdoms, and sought a papal dispensation to allow the marriage. In 1290, the now seven year old Margaret set sail from Norway to Scotland. She never arrived, dying in the Orkneys on the voyage. 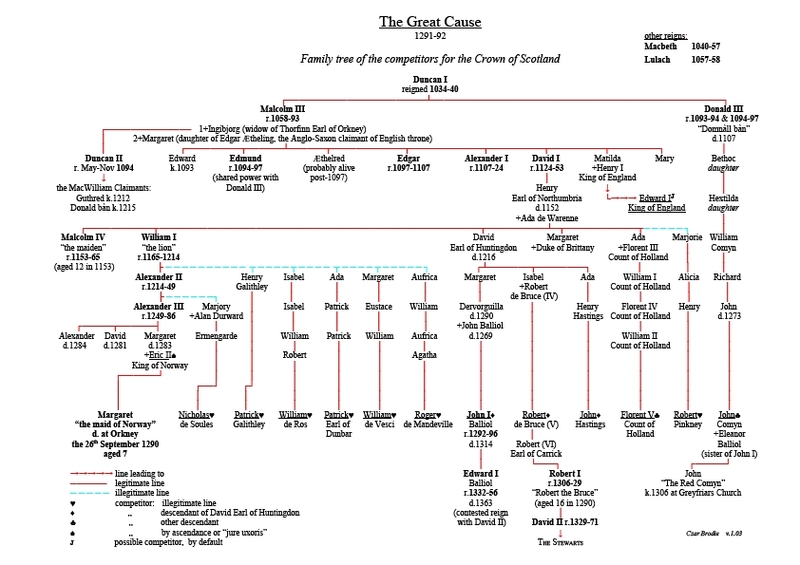 Margaret's death left Scotland with no apparent heir to the throne. Over a dozen claimants—including Margaret's father and several grandchildren of illegitimate children of a previous king—came forward. Only four of them had serious grounds to claim the throne, but the waters were sufficiently muddied that the Guardians asked King Edward to monitor the dispute. Ever the opportunist, Edward—who had already spent fifteen years subduing Wales—agreed on the condition that the Scots lords swear loyalty to him as Scotland's feudal overlord. The council chose John Balliol as king, and Edward proceeded to treat him as an servile underling. Four years later, Balliol, bridling at Edward's overlordship, renounced his oath. Edward invaded across the then-porous frontier, rapidly defeated the Scots, capturing many of their lords, and forced Balliol to abdicate. Edward returned to England with Balliol as a prisoner and the Stone of Scone, the traditional seat used during Scottish coronations, as a trophy. (It remained in the base of the coronation throne of the kings and queens of England up through the coronation of Elizabeth II in 1952.) Edward required homage of all the leading Scottish nobility and installed English lords throughout Scotland. In May of the next year, 1297, William Wallace first appears in the historical record. He probably (more on sources below) killed an English sheriff in an incident at Lanark, probably in revenge for a previous attack on him by the sheriff while at court. All the circumstances leading up to this attack are unclear, but Wallace rapidly emerged as a leading brigand, fighting from the forests as part of a general uprising against English rule with many similar rebel leaders. By September, Wallace had enough clout to join forces with Andrew Moray, a leading Scottish nobleman, and defeat an English army at Stirling Bridge. The badly outnumbered Scots used the local geography to their advantage, holding a narrow bridgehead in a bend of the river. Wallace cut the English army in half as it attempted to cross and defeated it in detail. For this victory, Wallace and Moray were named the two Guardians of Scotland, and when Moray died of wounds sustained in the battle a few months later, Wallace was left sole Guardian. Edward mustered his strength and personally led a second invasion force into Scotland the following spring. In April, Edward and Wallace faced off at Falkirk, where Wallace's static infantry, arranged in a series of schiltrons, circular formations meant to ward off cavalry attack, were weakened, broken apart, and finally destroyed by English combined arms—infantry, cavalry, crossbow, and, especially, the longbow. Wallace's cavalry, receiving the brunt of the English cavalry's attack since it could not risk attacking the spearmen, fled. Wallace fled too, and gave up his title as Guardian that fall, just a year after his victory at Stirling Bridge. After this year of frenetic activity, Wallace's movements become unclear. He is known to have continued fighting, but his reputation had suffered a crippling blow at Falkirk. Edward invaded again in 1300 and 1303, and either put his enemies to flight or convinced them to recognize his right to rule. Among those swearing to recognize his authority was Robert Bruce, grandson of one of the claimants to the throne after the death of Margaret. Edward behaved with clemency toward many Scottish nobles, recognizing that, after years of failed intervention, if he hoped to rule Scotland he would need their support. The one Scot leader to whom Edward would under no terms grant mercy was William Wallace, who was captured near Glasgow and turned over to Edward in 1305. Taken to London in chains, Wallace stood trial on charges of treason and what modern people would call war crimes. The charge of treason, writes historian Marc Morris "was somewhat ironic, for Wallace was probably the only Scottish leader who had not sworn allegiance to the English king" at some point in the last twenty chaotic years. Wallace himself pointed out that he had never sworn fealty to Edward, but his judges were unconvinced. On August 23, 1305, William Wallace was ceremonially dragged through the streets of London to Smithfield, the place of execution outside the city walls. There he was hanged until almost dead and, after being cut down while still alive, disemboweled. 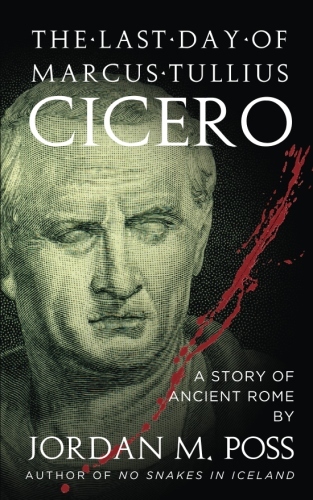 While the executioners beheaded and quartered his body, his guts were publicly burned. His head was mounted on London Bridge. 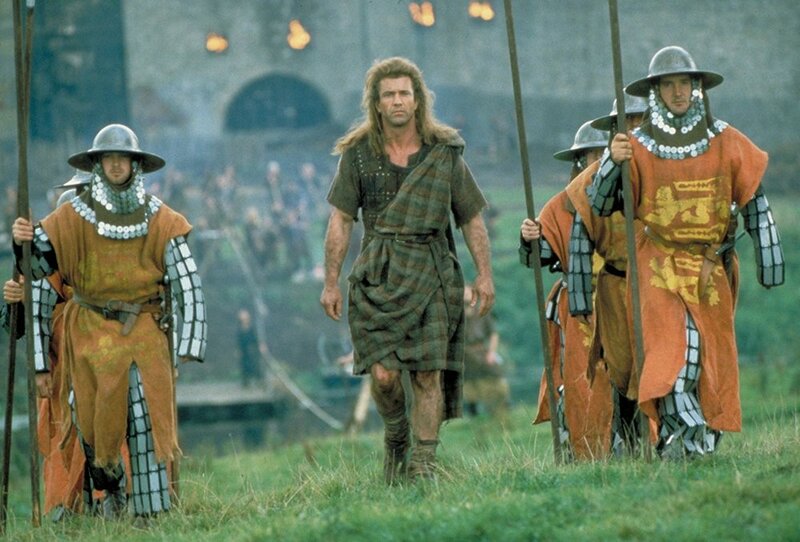 Braveheart began with a trip by screenwriter Randall Wallace (no relation) to Scotland, where he noticed a monument to William Wallace at Edinburgh Castle. Having never head of this famous Wallace, he got the gist of the story from his tour guide, read a little about Wallace in the poetic retelling of a fifteenth century balladeer, and wrote his screenplay. Mel Gibson originally wanted to direct, but could only get financing for the film from a major studio if he also agreed to star. It's fortunate that he agreed; Gibson is what made—and still makes—Braveheart work. Gibson had learned well from filmmakers he had worked with as a rising star. One can especially sense the influences of George Miller, his director in the Mad Max films, in the violence of the combat, the brilliant use of slow motion and jump cuts, and the apocalyptic dream imagery, and Peter Weir, director of Gallipoli, in the film's attention to atmosphere, landscapes, and the combination of magnificent natural beauty with violence. Crucially, Gibson was able to cut down Wallace's bloated original screenplay and refine clunky or unclear scenes, both to save money on the film's large but finite budget and to sell the story visually. The most noteworthy example concerns the introduction of everyone's favorite character: Stephen the Irishman. As originally written, Stephen proved his worth as William Wallace's ally and devoted bodyguard in a long, intense nighttime battle in a castle. Lacking the budget to shoot such a technically involved scene (night shoots are notoriously long and difficult), Gibson had to get creative. What he came up with in a few minutes was a small masterpiece of visual storytelling—a scene with Wallace, Stephen, and another eager new rebel recruit hunting in the forest. (Take three minutes to watch it here.) Gibson's new scene makes the point intended by Randall Wallace's screenplay in ninety seconds and only two lines of dialogue. The film shot extensively in Scotland but most of the footage used for the final product was shot in Ireland. The Irish Army even provided extras for the battle scenes; some of the same soldiers would go on to work as extras in the Omaha Beach scene of Saving Private Ryan. John Toll, one of the greatest living cinematographers and a master of the art, shot the film in anamorphic widescreen to capture its old-fashioned epic scope and brought out every rough texture of the sets and costumes, every lush and sweeping landscape, in a film that is both romantic in its scale and brutally real in its violence. James Horner's score is among his best; the words sweeping, romantic, and old-fashioned come to mind again. Who can't thrill to his steadily building drums at Stirling, the tender theme for William and Murron's romance, or the soaring notes of "Freedom" during Wallace's death? Gibson intentionally made a film in the vein of old Hollywood epics—a film of dashing rebels, beautiful princesses, breathtakingly evil villains, near misses, and hair-raising escapes—but with the violence permitted of films in the 1990s and all the modern filmmaking techniques developed since the end of the sword-and-sandal epic's heyday. 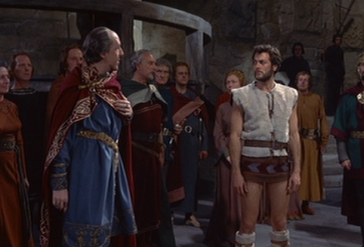 A key inspiration, one which Gibson cites several times in his commentary track on the film, is Spartacus. Watch the films back to back and you'll see the continuity, especially visually. But where Kubrick's film is cerebral and not a little cold in its approach to violence in the name of freedom, Gibson's is all heart. Braveheart continues to appeal because of the way it dramatizes human emotion, especially its finely nuanced depictions of love. Wallace and Gibson's film, thanks not only to Gibson's direction but also an excellent cast (I could write another post just in praise of Brendan Gleeson, James Cosmo, Patrick McGoohan, Angus MacFadyen, Catherine McCormack, and Sophie Marceau) begins with love of family and country. It encompasses love of fathers and sons, love for wife and children—both hopes, in Wallace's case cut tragically short—love among comrades for each other and their leaders, and, of course, love of freedom. The film is awash in emotion, with repeated setups and callbacks that tie the story together emotionally as well as narratively: a thistle, an embroidered handkerchief, a thrown rock, a strip of tartan cloth. The Scots did not have clan tartans and did not wear kilts in the 13th century. They would, in fact, have dressed much like the English. Prima nocte, Edward I's anti-Scottish eugenic policy, is entirely fictional. It never happened; not in Scotland, not in Britain, not anywhere in the Middle Ages. The Battle of Stirling Bridge was literally fought on and around a bridge by a fortified town. Building and then demolishing a bridge for the battle scene would have proven ruinously expensive, so Gibson cooked up the Battle of Stirling as it exists in the film and shot it on an Irish army rifle range. There were no Irish soldiers at Falkirk, and Wallace's cavalry were chased from the field; they did not defect. William Wallace did not attack York, which is 180 miles from Edinburgh, much less sack and occupy it. Edward I outlived William Wallace by nearly two years. There is no definitive evidence that Edward II was homosexual. Isabella of France, Edward II's wife, with whom Braveheart depicts Wallace having an affair (also neatly implying that he was the real father of Edward III), was ten years old at the time of Wallace's execution. Awkward. There are two basic reasons for these (and many, many, many other) egregious inaccuracies. First, Randall Wallace based his screenplay on The Actes and Deidis of the Illustre and Vallyeant Campioun Schir William Wallace, a narrative poem by the fifteenth-century bard Blind Harry. This work is one of the only detailed sources we have regarding the life of William Wallace, but it is rife with historiographical problems: it is a poem, artistic in form and intent and obviously exaggerated for effect; it contradicts verifiable fact in other earlier and more reliable sources; and it was composed at least 175 years after the events it purports to retell. While Braveheart broadly follows the bullet-point version of Wallace's life, much of the film's detail comes from Blind Harry: Wallace's personal character, his wife, her death as the catalyst for his rebellion, Stephen, etc. Second, Gibson's main interest as a filmmaker on Braveheart was to make a film, to tell a story and to tell it as vividly and as cinematically as possible. With no great attachment to the facts of the case thanks to the loosey-goosey screenplay, Gibson was free to shape Braveheart into a beautiful, moving, emotionally powerful meditation on love and freedom that could showcase his strengths both as an actor and a director. In this regard, Braveheart is a brilliant success. But is Braveheart worth anything as a historical film? Despite everything, I think so. Its portrait of Edward I, while grossly exaggerated bordering on character assassination, shows the power of a capable and driven medieval monarch. The film's violence is an antidote to the castles-and-princesses view of the Middle Ages that some people have, while Gibson's obvious love of the film's characters and respect for their culture—especially Scotland's pre-Reformation Catholicism—keep the film from descending into a chronologically snobby muckworld. The film also dips its toe in the complicated structures of medieval authority, which could be useful. And I think, despite failing in pretty much every other category of authenticity, Braveheart captures a little something of the spirit of the time. But only a little something. Braveheart is one of my favorite movies, and has remained so since high school. It's over twenty years old now, and still holds up thanks to its vision, moral ernestness, and sincere and deeply felt emotion. It's not good history—not at all—but I wouldn't mind a few more films like it nowadays. As mentioned above, one of the most important and problematic sources for Wallace's life and deeds is The Wallace, a lay by Blind Harry the Minstrel. You can read the complete text for free at Project Gutenberg and some nicely annotated selections at the University of Rochester's Middle English Texts Series. The poem is available in a modern English translation by William Hamilton, but appears to be out of print. Start hunting through your nearest used book store. Magnus Magnusson's massive Scotland: The Story of a Nation, has a lengthy chapter on Wallace and his context in the struggles against English overlordship. 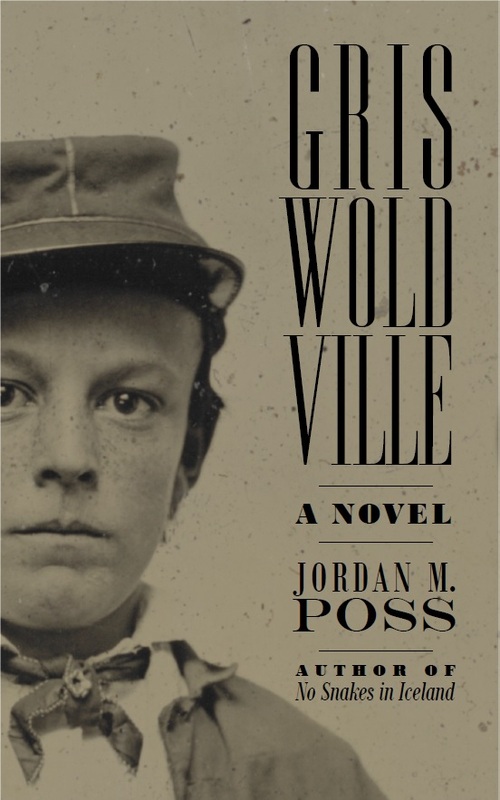 Magnusson relates the story well and is appropriately cautious about the folklore that has accumulated around Wallace. 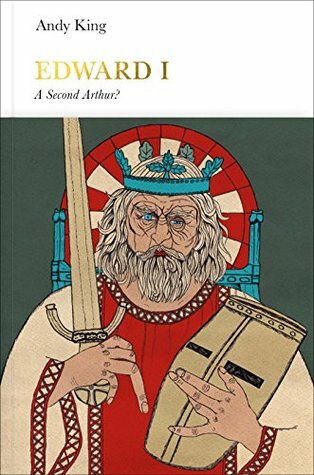 For the English side, historian Marc Morris has a recent biography of Edward I, A Great and Terrible King: Edward I and the Forging of Britain, that thoroughly deals with the entirety of this important king's long and busy reign. Concise, well-written, illuminating looks at the reigns of both Edward I and his worthless son Edward II are available from the excellent Penguin Monarchs series. Medieval March will conclude with another exciting, well-crafted epic that has a troubled relationship with the truth: Ridley Scott's Kingdom of Heaven. Thanks for reading!